The stars of the 2019 Melbourne International Comedy Festival come together to perform for a very special cause, Stand Up For Christchurch. 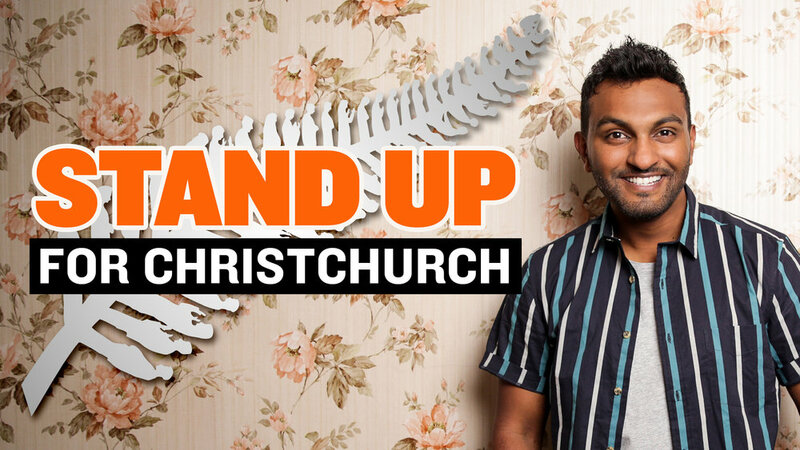 In the wake of the Christchurch terrorist attack, our biggest stars in comedy are donating their time to support the victims and families affected, with all proceeds donated to The Christchurch Foundation’s Our People Our City fund. Hosted by Nazeem Hussain in front of a sold-out crowd at Melbourne’s iconic Town Hall, audiences will be treated to 90 minutes of non-stop laughs from some of the best in the business. Don’t miss this star-studded line-up including Dave Hughes, Joel Creasey, Urzila Carlson, Peter Helliar, Tommy Little, Jimeoin, Cal Wilson, Arj Barker, Matt Okine, Frida Deguise, Steph Tisdell, Mark Watson and Des Bishop. Stand Up For Christchurch. Sunday, 21 April At 7.30pm. Only On 10 And WIN Networks.